Lucy James, a fashion writer, toddler mama and London native-turned-New Yorker, shares her tips for perfect packing for Labor Day. Follow her journey and her style tips at her Secretstylist blog. 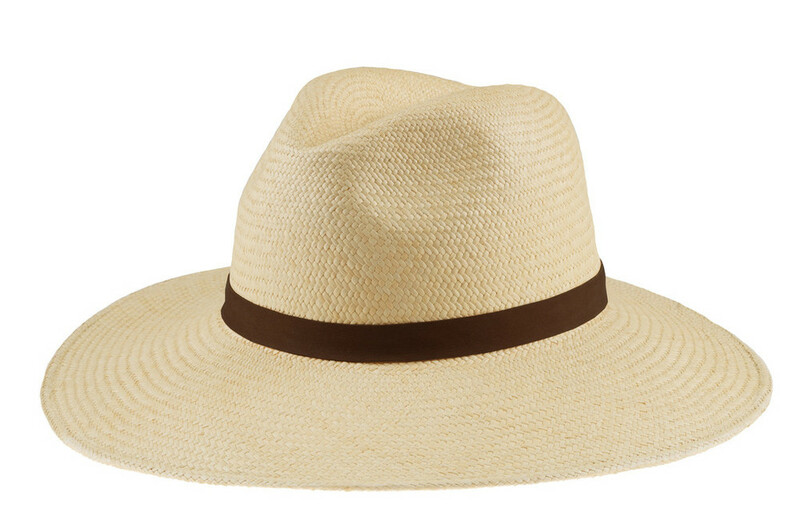 The Hat "I just discovered Janessa Leone and love her wider brims and mix of fedora/panama styles. Essential for squinting relief, hiding hangovers and topping off your stylish beach look." The Bikini "Heidi Klein bikinis last forever and their coral colour is incredible. Other brands to look for are Prism and Eres, especially on discount designer site The Outnet." The Denim Shorts "The short to throw on with everything, easy peasy. Frame are slightly crazy prices but the fabric and washes are worth it. Try J Crew and Gap for good boyfriend jean versions." The Sandals "K. Jacques classic tan sandals will work everywhere and with anything. Try a snake print for a dash more excitement." The Scarf "Great for planes, trains and chilly evenings. These Lily and Lionel silk scarves work all year round and add a bit of print to a simple jeans and tee day. The Beach Bag "Pink pom poms? Yes please, Eliza Gran Studio. This is the perfect vacation bag to make you smile." The Off-the-Shoulder Top "It might just be a 2015 thing but I will keep on wearing mine from Reformation. You instantly feel summery and there is nothing better than a brown shoulder." The Dress "Something floaty, a bit more revealing than you normally dare, easy beach to bar ability. Reformation have done it again. Also try Faithfull The Brand and Zara."